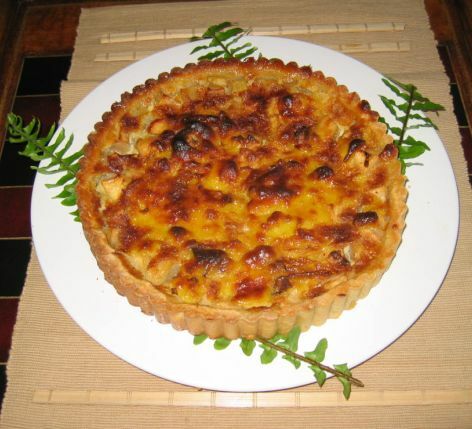 Tarte Normande as the name suggests is from the Normandy region, located in the North-West part of France. Normandy is the land of Apples and arguably the foremost cider growing region of Europe. 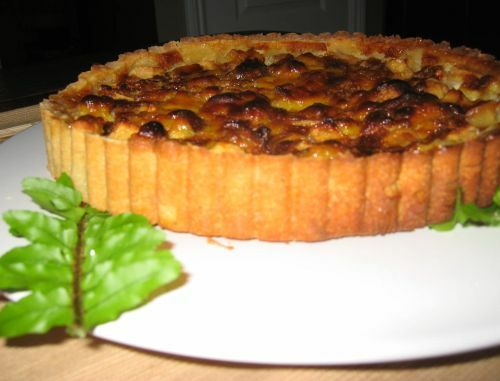 The French has so many Apple Tarts but the Tarte Normande is a bit different from the traditional French Apple tart. 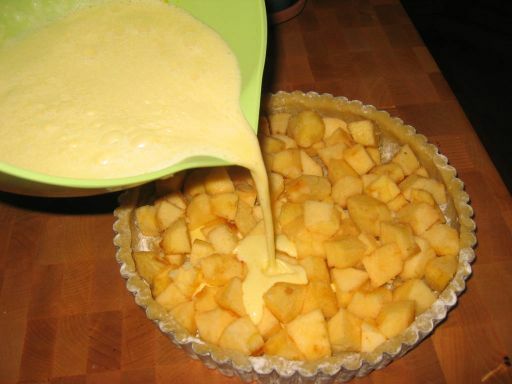 First, the apples are cut into big chunks and then they filled with cream which makes the tart more luxurious and a lot tastier. 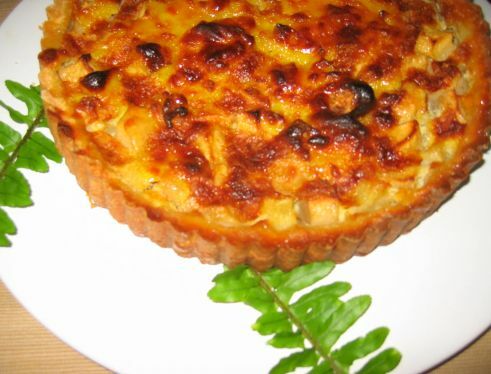 The cream on top of the cake is a bit caramelized and gives the tart a really nice flavor. 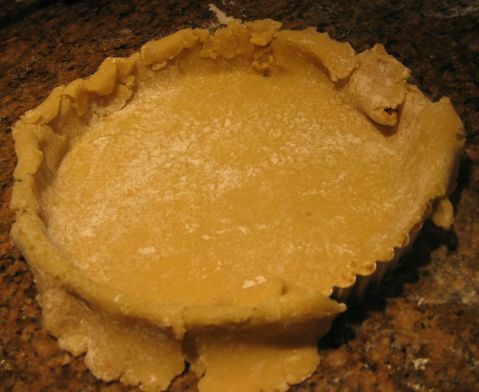 I used a pâte sucrée but traditionally a pâte sablée is used. 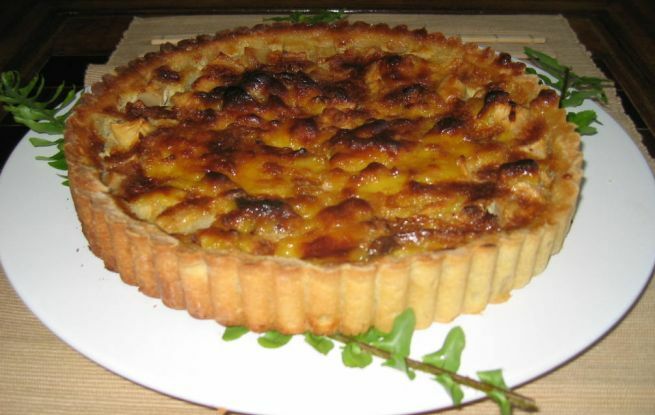 The pâte sucrée is sweet and a crunchy dough used in many French dessert and the pâte sablée is rich and crumbly (sablée is the French word for Sandy). Both are excellent and it is just a matter of taste. 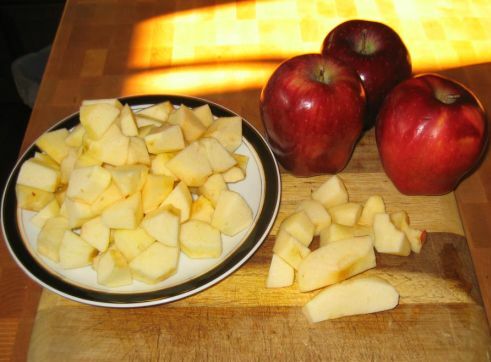 Apples are peeled and cut into chunks. 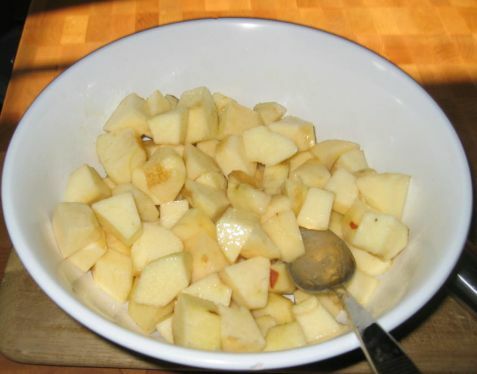 Melted butter are added to the apples. 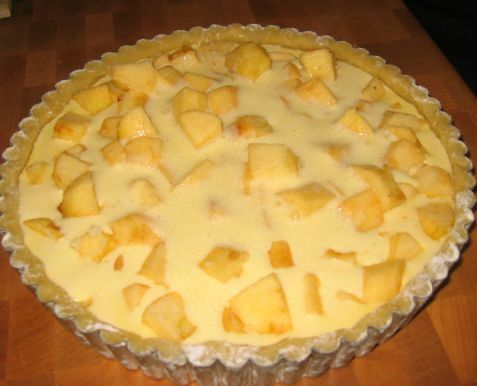 The tarte is now ready to go in the oven for about 25 minutes or so..